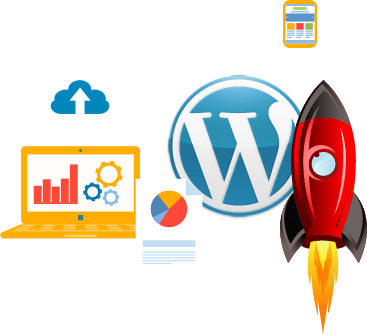 Managed servers specially built up for wordpress websites. Why use our WordPress Cloud VPS? We are using LiteSpeed Cache Plugin that communicates effectively with your web server and it’s built in page cache deliver apace performance to your WordPress site. Want to Tighten up the Security for your WordPress Site? 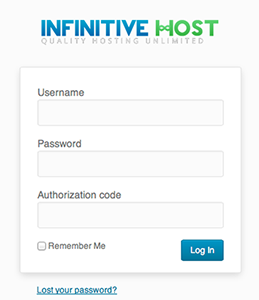 Infinitive Host is using a popular WordPress Plugin that helps your WordPress site from malicious virus and unwanted login attempts. Yes, we are also talking about the attempts made to hack your wordpress site. The Security Plugin as soon as it gets installed on your website, it starts working round the clock to secure your wordpress data from threats like DDOS, malware and brute force attacks. Infinitive Host wordfence comes with a website application firewall which works as a sieve, blocks any suspicious requests made to your wordpress site and filters all traffic to your website. As we all know that WordPress is a fantastic CMS. Perhaps the most beautiful thing about WordPress is you can do both blogging and a e-commerce like business too. Infinitive Host with Wordfence hold the power to add a layer of security to it. Yes, you read it right. It gives you the feature to add security layer accordingly with one-click. Like, if you are facing heavy attacks, you can set your security level to “Critical”. 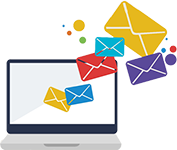 Want Email alerts too? This Plugin gives some cool options such as “Alert on Warnings, warn me on any critical Problem or when an admin/user signs in”. Wordfence Scanner will scan all your existing files or if you add any new file from any malicious code. It scans thoroughly each and every piece of code and provides a security like no-one else. You can control the access of bots which keeps on coming to your site. If you use wordfence for your WordPress Dashboard Login attempts, here also it comes handy too. As it sends you a notification who-ever tries to login your wordpress dashboard and issues lock-outs from logging after (n) failed login attempts.It won’t reveal the valid username in the login-error, hence making it completely secure. The Application Firewall is built and maintained by a large dedicated team and focuses on 100% wordpress security. Unlike other cloud alternatives, it does not break encryption or any security breaches. It cannot be by-passed and the data is highly secure.